Gift Idea, Yes or No? Does the world need a lace up koozie? Beverage boot? It can be laced tighter or looser depending on the size of the beverage. The color could be customized as well as the logo. I will make a Chengeta version soon. Boom, We Did It Again! 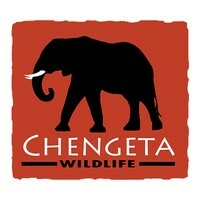 The crowdfunding campaign for Chengeta is complete and we stand at $31,334.30! That number will go up when we add in some late Facebook donations.